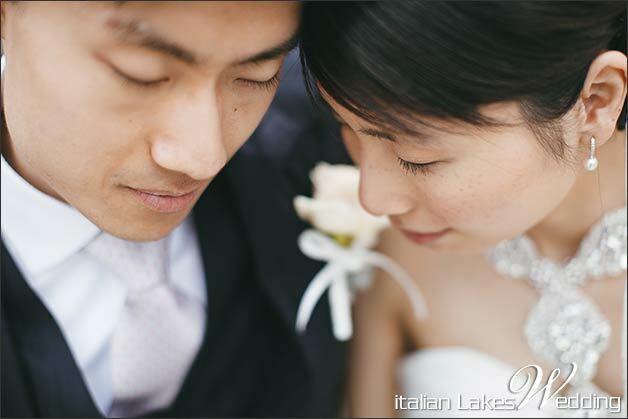 his year we had the pleasure to start our wedding season with a very sweet couple: Fei and Li. They both have Chinese heritage. 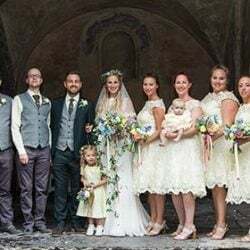 They came from US to Italy to get married in April 2014. 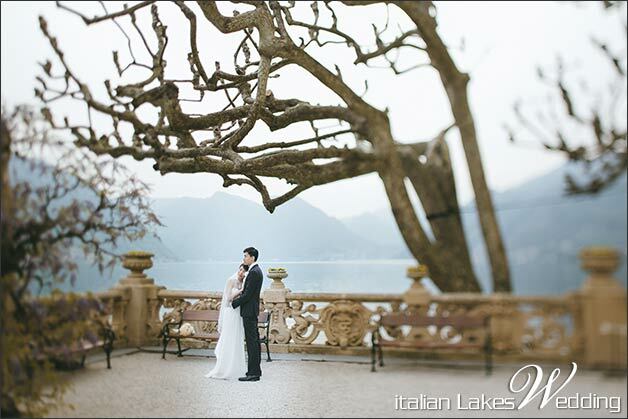 They fell in love with Lake Como and its gorgeous Villa del Balbianello. 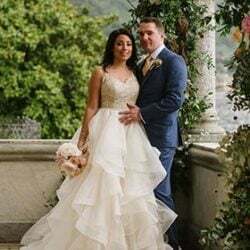 Once seen it on Star Wars: Attack of the clones movie scene, they had no doubt about it: they would have said I do on Lake Como! 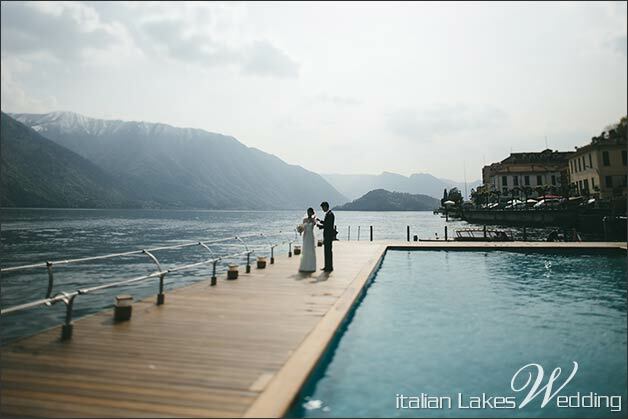 Their staying on Lake Como shores was planned to enjoy a wonderful romantic atmosphere. 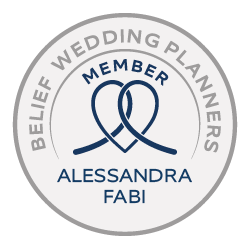 They decided for an intimate elopement. 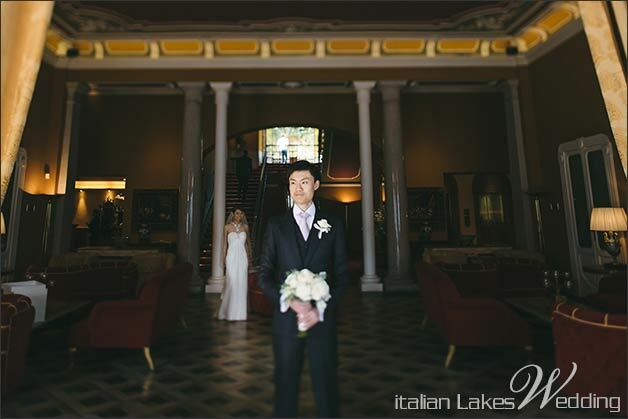 They got ready in a lovely roof top suite in one of the exclusive hotels on the West shore of the lake. 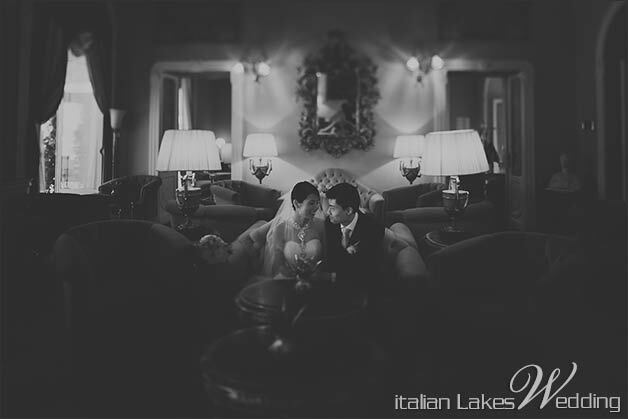 A breath-taking view, a beautiful room and a strong emotion was everything you could feel during their preparations. Fei and Li got ready together in the same room where professional make-up and hair stylists took care of bridal look. 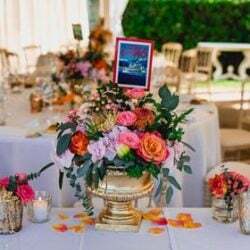 They wanted to live a very intimate and romantic day with very simple and elegant details. 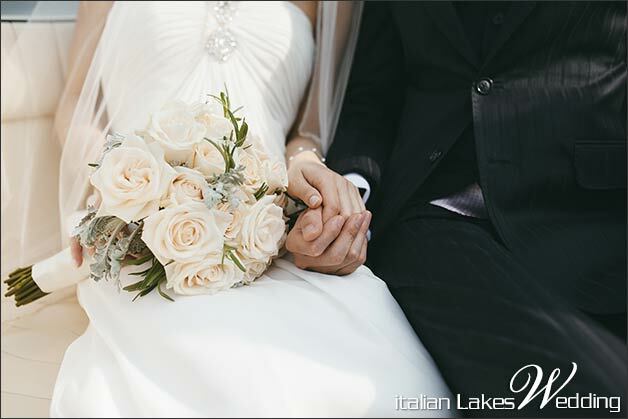 They chose ivory Vendela roses for Fei’s bouquet and Li’s boutonniere. 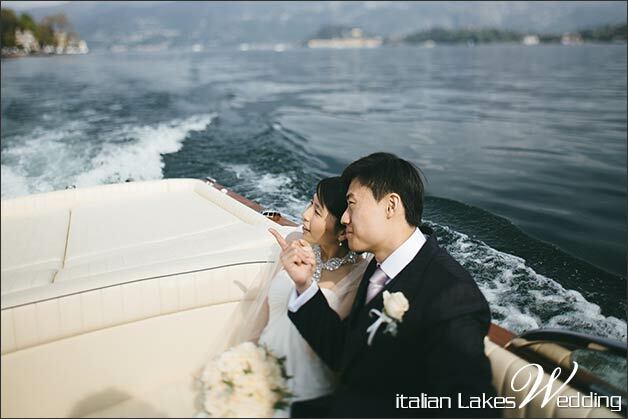 Once ready, they both got on a wooden boat to reach Villa Balbianello… an amazing experience for them: Lake Como and its beautiful colours! 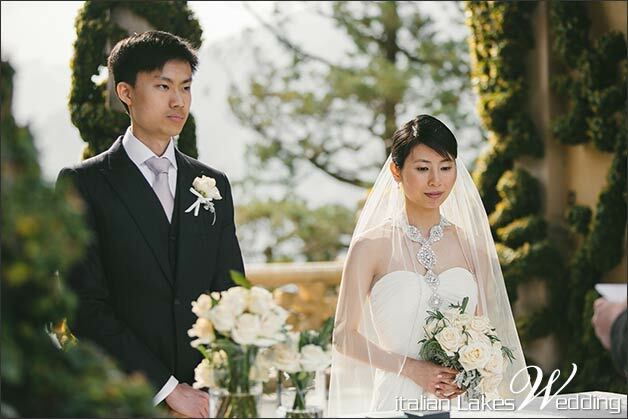 We already told you about Fei and Li’s love about Star Wars’ wedding scene. 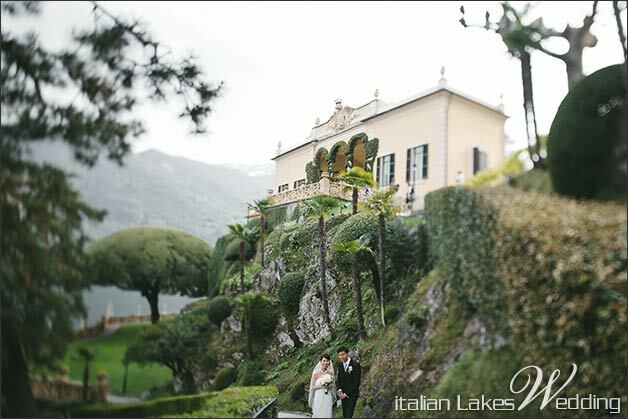 Famous scene of Star Wars movie was rolled at Villa Balbianello and, once there, everybody is able understand why! 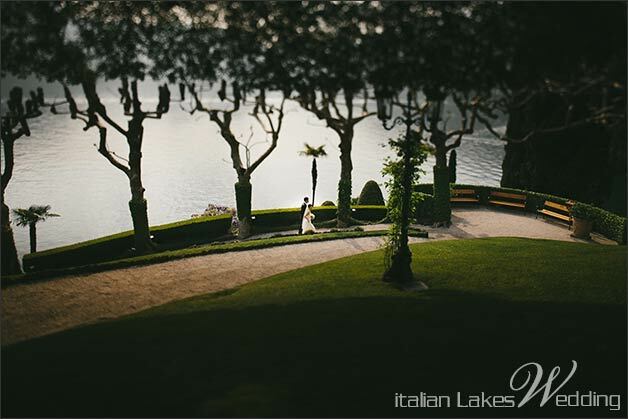 There are no words to explain beauty and peace you feel in this stunning venue…once there, our couple felt as movie stars! 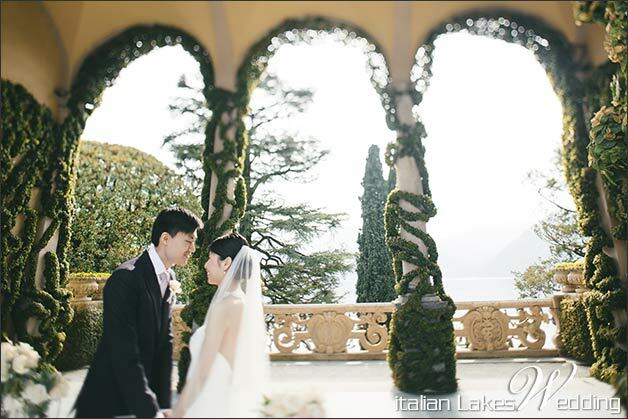 Under the beautiful loggia of the villa overlooking the lake, Fei and Li become husband and wife: a moving moment for both, they could not stop to look one of each other eyes full of joy and love! 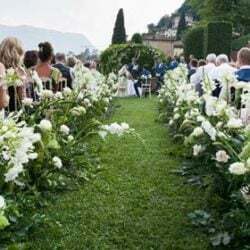 After the ceremony they walked into Villa del Balbianello wonderful gardens. 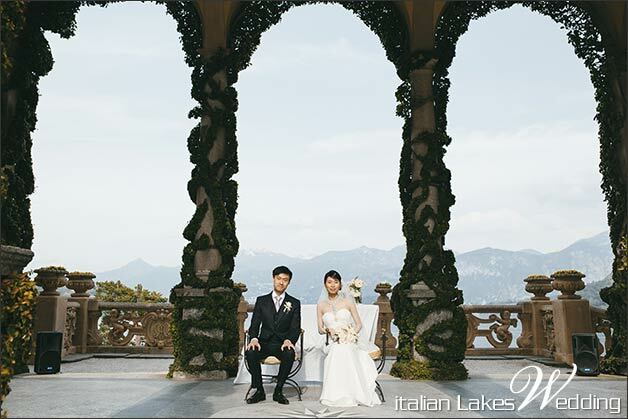 This was absolutely the best moment to enjoy the venue and the wide breathtaking lake view. It was also the perfect moment to took great wedding photos. 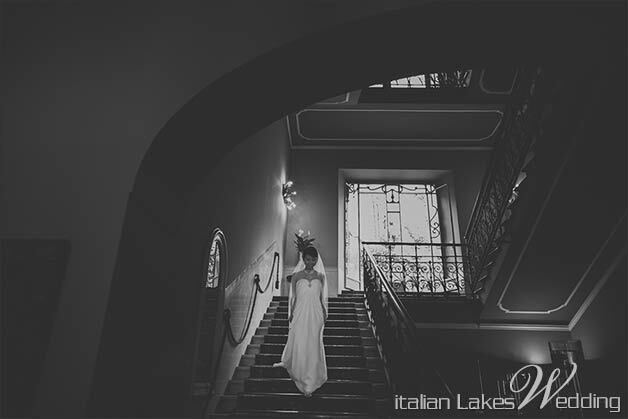 A very special thanks to two skilful photographers: Alessandro and Veronica Roncaglione. How much romanticism and sweetness in Fei and Li! 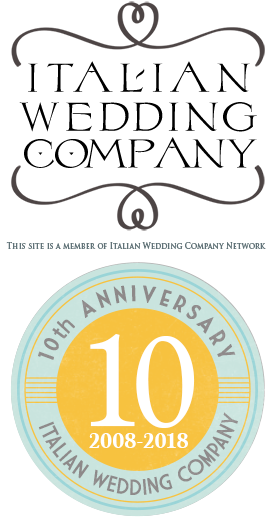 These pictures will a wonderful memento for a lifetime! Fei and Li had their special celebratory dinner for two in a lovely restaurant on the hills behind their hotel. 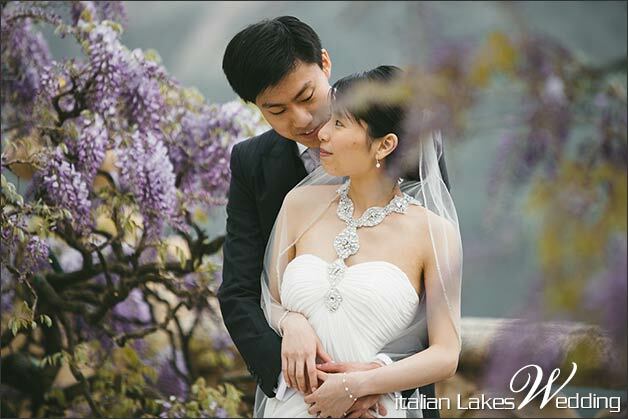 Before going there, bride changed her dress and wore a very elegant red one just as per Chines tradition… a refined change to feel comfortable for their intimate reception! 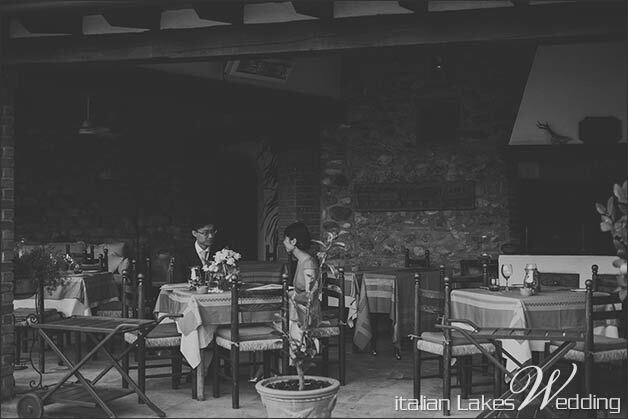 They chose a typical Italian restaurant to enjoy exquisite Italian food, looking on lake and lost in their own eyes. 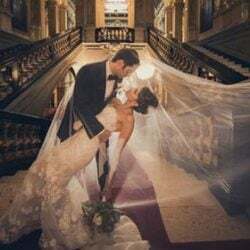 Our sweet couple had the last perfect moment of their long and special day. 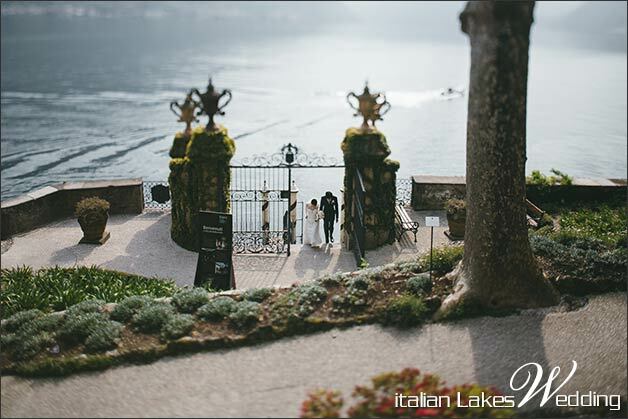 We really liked to share emotion with them and we loved planning their romantic wedding day on Lake Como. It’s a pleasure meeting young and sweet guys like Fei and Li! 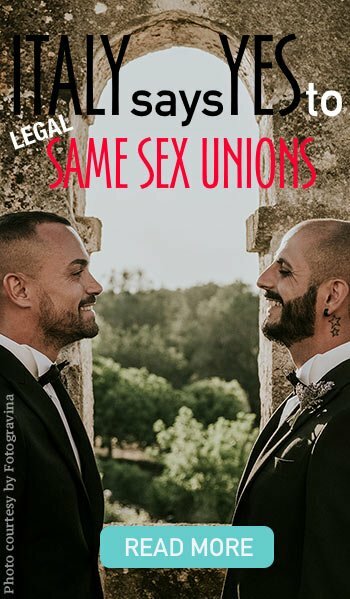 We really wish you a very happy and long life together!